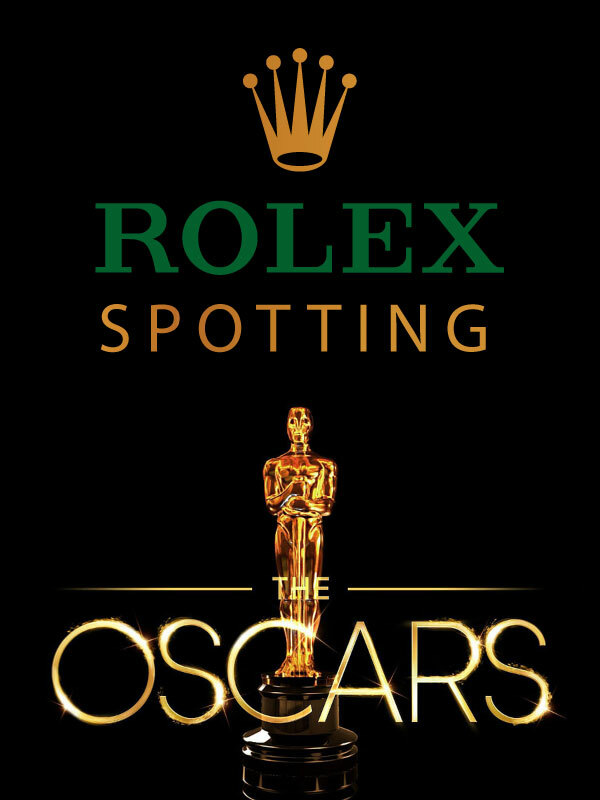 Rolex Hits A Home Run!!!!! 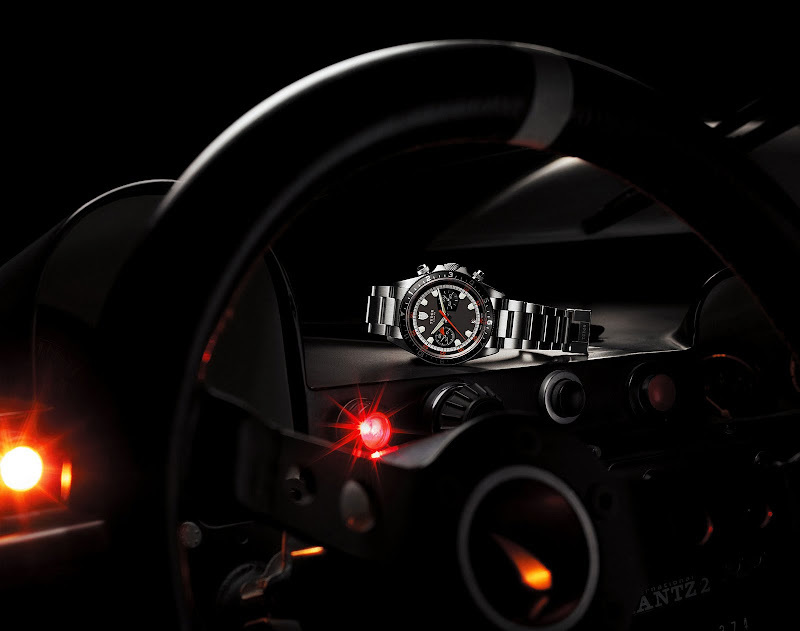 Tudor Monte Carlo Shocks Rolex Community!!! 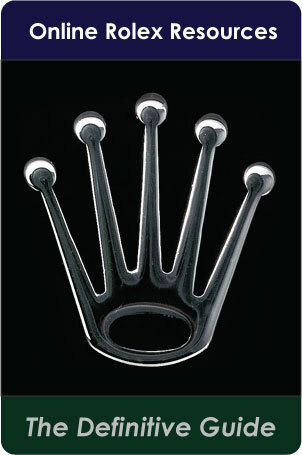 I am still kind of at a loss for words, but I will try to articulate the mega-surprise at BaselWorld 2010!!! The biggest surprise was not a Rolex per-se, but this all-new Tudor Heritage Chronograph also historically known as The Tudor Monte Carlo as well as The Tudor Home Plate. Just in case you didn't know, Rolex owns Tudor and Tudor has historically been considered to be a less expensive Rolex brand. Before I go into detail on this watch, I want to congratulate Rolex and Tudor and say I hope this watch is a sign of things to come from Rolex. Rolex's design history is amazing and second to none, but many people argue, as do I, that Rolex needs to make more bold design moves and play off their incredible legacy. 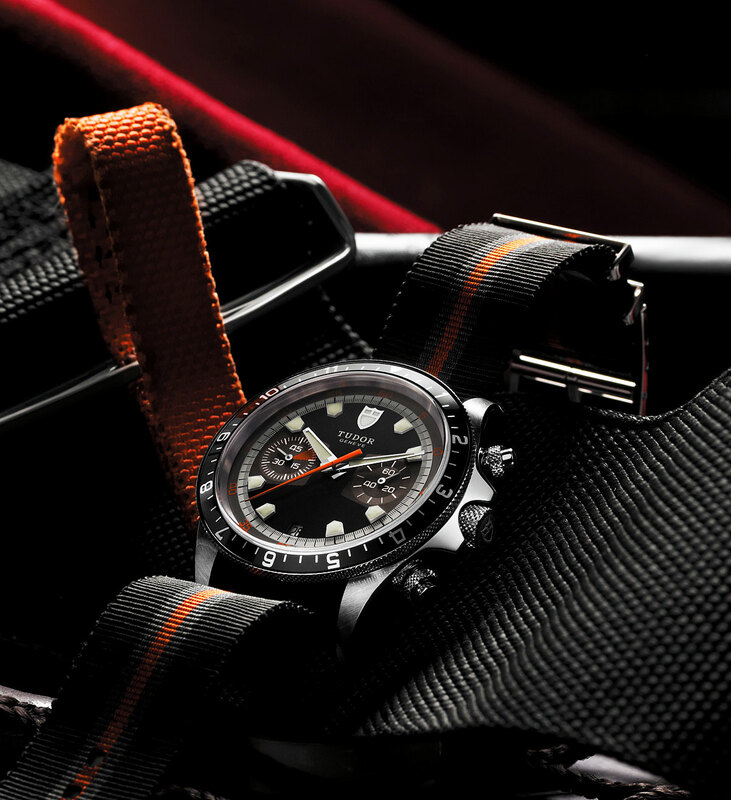 The photo below is of the original Tudor Chronograph that the all-new Tudor Heritage Chronograph (pictured above) is based upon. 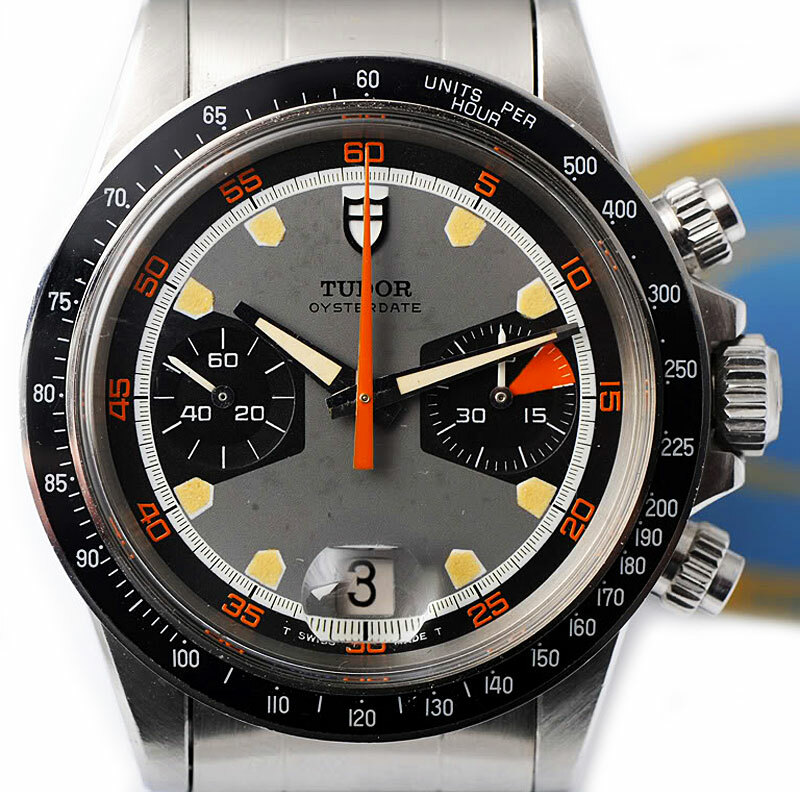 The original Tudor Chronograph pictured below originally was introduced in 1970. 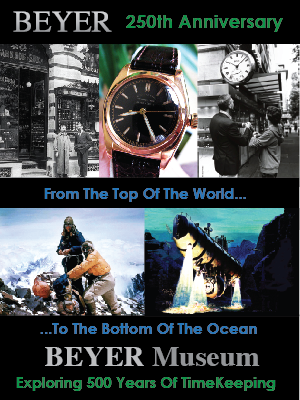 The original had a Rolex Cyclops Date Magnifier lens on the 6'oclock date that was not repeated on the new version. Also, the original was made over the years with many different variants like version that had spinning bezels, even thought the one below lacks a spinning or moveable bezel. 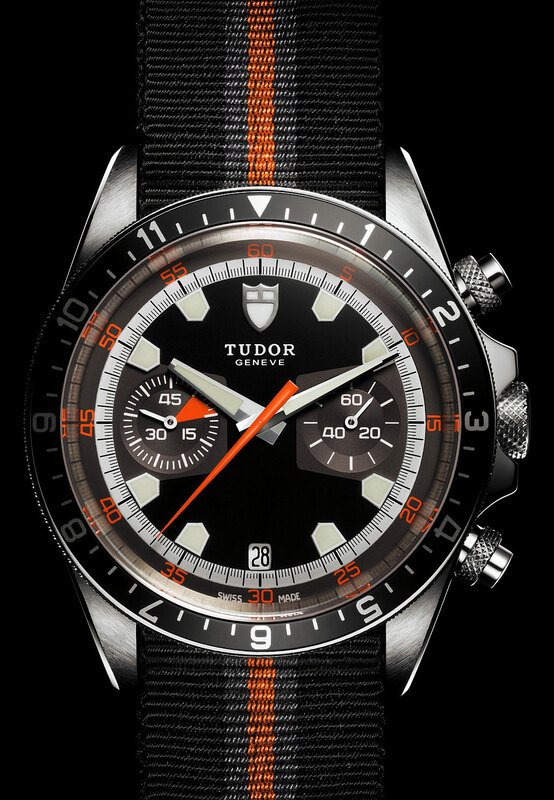 The photo above shows the Tudor Heritage Chronograph with a black base dial, but the are also offering it with a grey based dial like the one pictured below. You can see the new grey dialed version by scrolling down two images to the one that shows the original in 1970 version in the mirror next to the new grey one. This model was nicknamed the Tudor Home Plate because its 5 minute markers are shaped like a baseball home-plate. 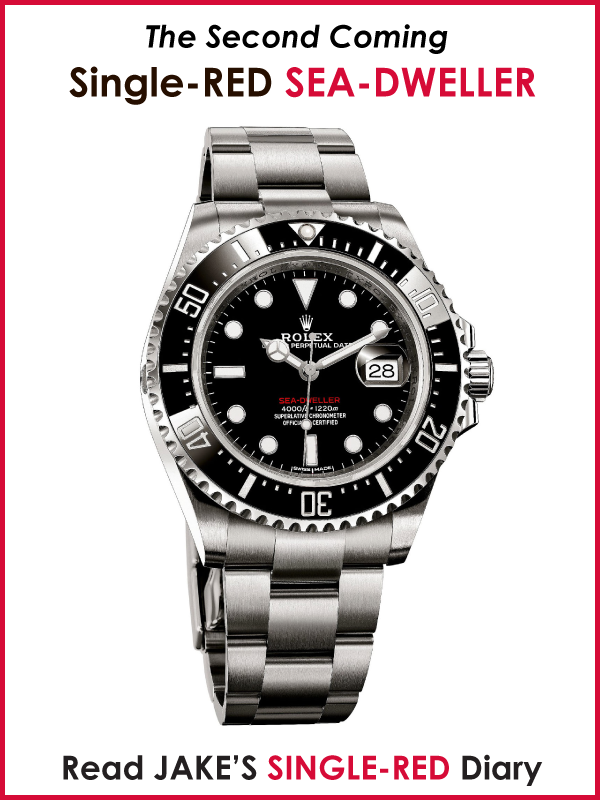 By the way, for whatever its worth, I have always believed Rolex should offer a Rolex Datyona Date option–just like they do with the Rolex Submariner. 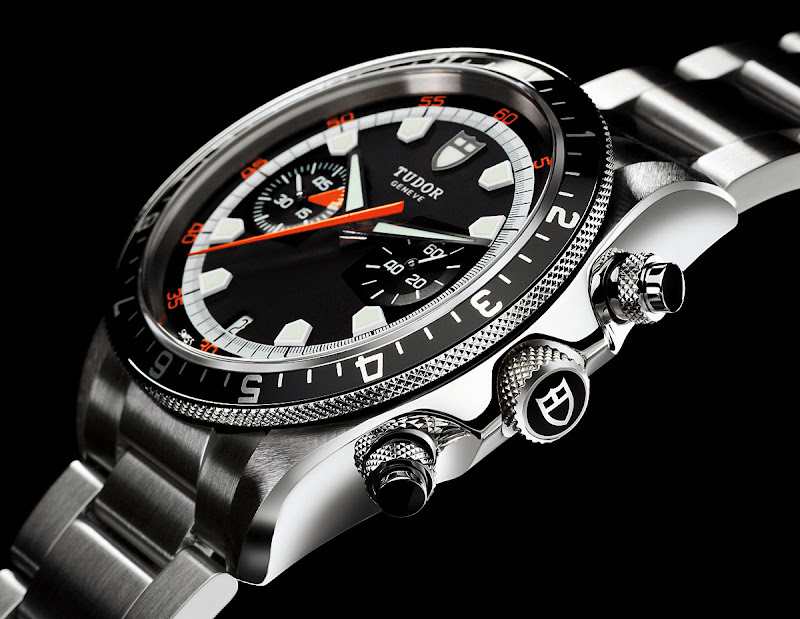 So let's explore what Tudor Brand is or means? Rolex founder, Hans Wilsdorf experimented like a mad scientist when it came to watch design and marketing. 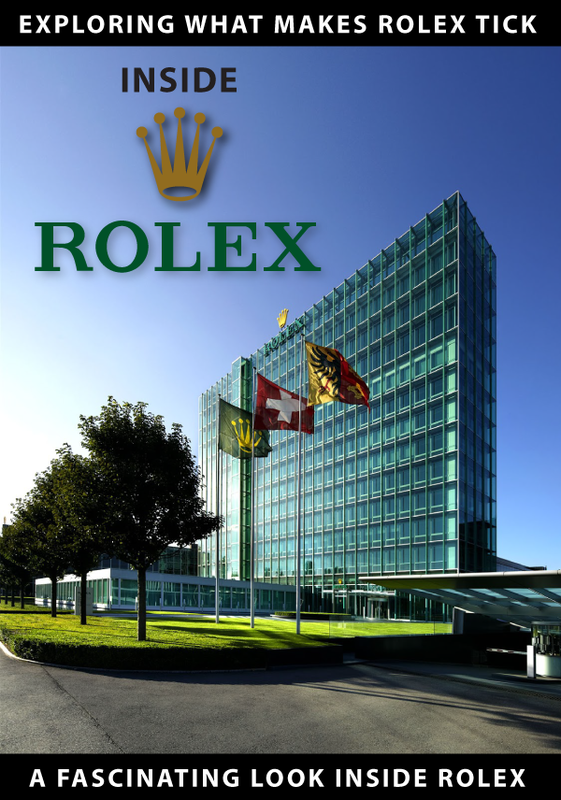 For some years I have been considering the idea of making a watch that our agents could sell at a more modest price than our Rolex watches, and yet one that would attain the standards of dependability for which Rolex is famous. I decided to form a separate company, with the object of making and marketing this new watch. It called the Tudor Watch Company." –Hans Wilsdorf, Founder Of Rolex [March 6, 1946]. Early Rolex and Tudor history still remains a bit of a mystery, and I try, as best as I am able, to put together the pieces of the historical puzzle. The Tudor brand was first registered in Geneva, Switzerland by Isaac Blumenthal on December 13, 1906 and was awarded the registration number of 21383. In 1926 it was formally transferred to Veuve Philippe Huther de Colombiere, and was purchased formally by Hans Wilsdorf in 1936. 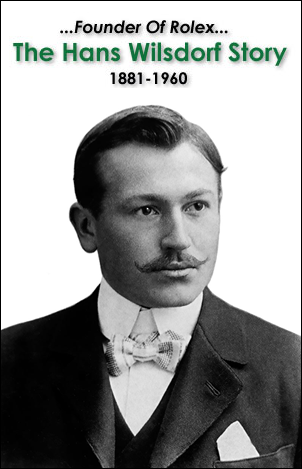 I have also heard, and I don't know if it is true, that Hans Wilsdorf originally started the Wilsdorf and Davis (W&D) name in 1905 but wanted a better name, so in 1906 he started Tudor, but a few years later in 1908, decided to develop his brand under the Rolex name. The original logo for Tudor was of a the decorative Tudor rose. It appears Hans Wilsdorf wanted to build a brand that payed homage to the long reigning English Tudor dynasty. The Welsh House Of Tudor also known as The Tudor Dynasty ruled the Kingdom Of England and its realms which included The Lordship and Kingdom Of Ireland, from 1485 to 1603. The first monarch of the Tudor Dynasty was Henry Tudor who descended patrilineally from the rulers of the Welsh principality of Deheubarth and maternally from the English Royal House of Lancaster. The Tudor family rose to prominence as a result of the Wars of The Roses, and thus came about the Tudor Rose Logo. Henry Tudor successfully defeated The House Of York, and captured the throne to become Henry VII. Henry Tudor then married Elizabeth Of York which served to unite the former warring factions and unite them under a new dynasty. Hans Wildorf took over control of developing the Tudor brand in 1946 and named it Montres Tudor SA in 1946. From 1947 to 1952 Hans Wildorf worked on introducing the Tudor line to the public. 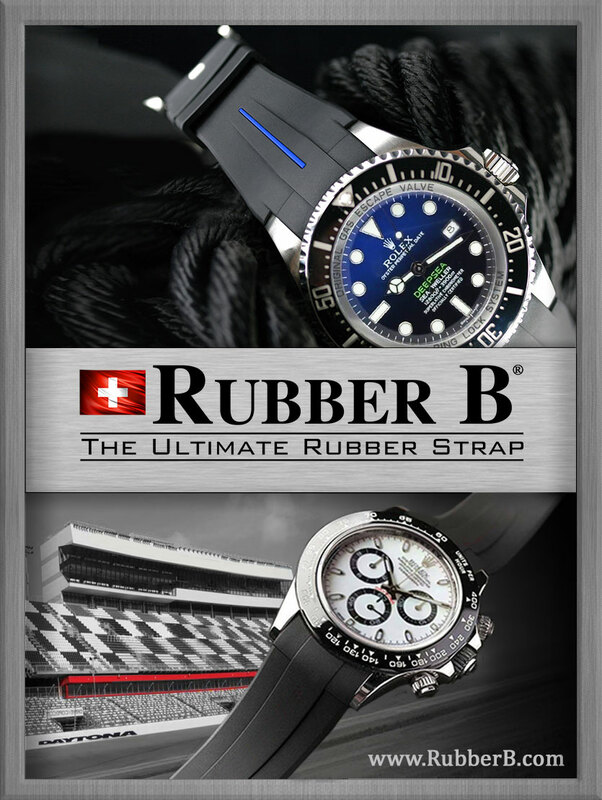 It has been argued, and it makes perfect sense that his strategy with the Tudor line was to take advantage of utilizing the tooling that was already paid for but would become obsolete as Rolex moved forward. In other words, Rolex would invest a great deal of capital in new tooling and machinery to make state-of-the-art Rolex watches. In order to stay at the forefront of innovation, Rolex had to continually push the envelope and continuously build new tooling equipment to make next generation Rolex watches. The challenge was when Rolex would move from one generation the the next, the tooling from the last generation was still in excellent condition and Hans Wildsdorf wished to intelligently utilize the older tooling and equipment to optimize Rolex ROI (Return On Investment). 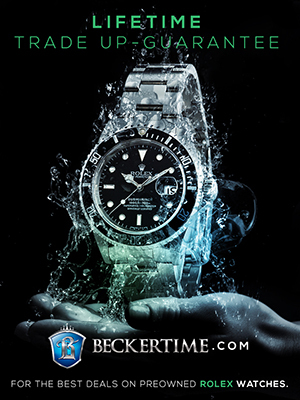 So Hans Wilsdorf came up with The Tudor Brand which would be manufactured on the previous generation of Rolex tooling. Also, the Tudor Brand watchmakers were typically not as experienced as the Rolex master watchmakers. In other words, Hans Wildorf brilliantly came up with a system in which newly trained watchmakers would begin by making Tudor watches and once they became master watchmakers, they would graduate to becoming Rolex watchmakers. Tudor was also Rolex's experimental brand, in the same way that Sony used to do the same thing with their second-tier Onkyo brand. 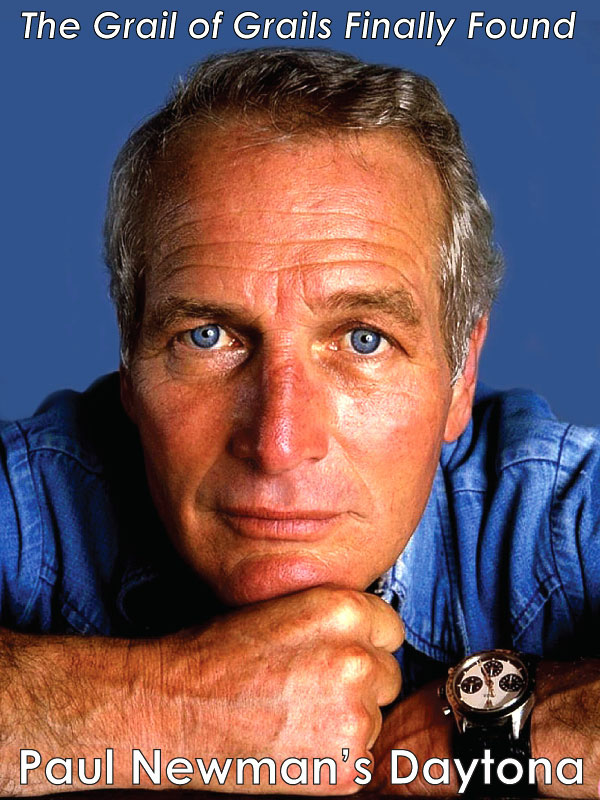 Tudor also created a brand around Tiger Woods named The Tiger Tudor which made some very interesting chronographs using last generation Rolex Daytona tooling. Tudor through their history was able to experiment with doing things Rolex would not, in doing so it arguable ended up making several beautiful mistakes. I will be candid with you and let you know I never liked Tudor watches. 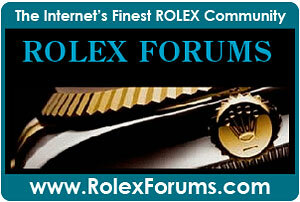 I always considered them to be inferior to Rolex–almost like a poor knock-off of Rolex. I have NEVER wanted to own or wear a Tudor, but that somehow magically changed this week at BaselWorld 2010 in Basel, Switzerland when Rolex/Tudor introduced this all-new chronograph based on a long-discontinued Tudor watch that was named the Monte Carlo or Home Plate by vintage Rolex collectors. 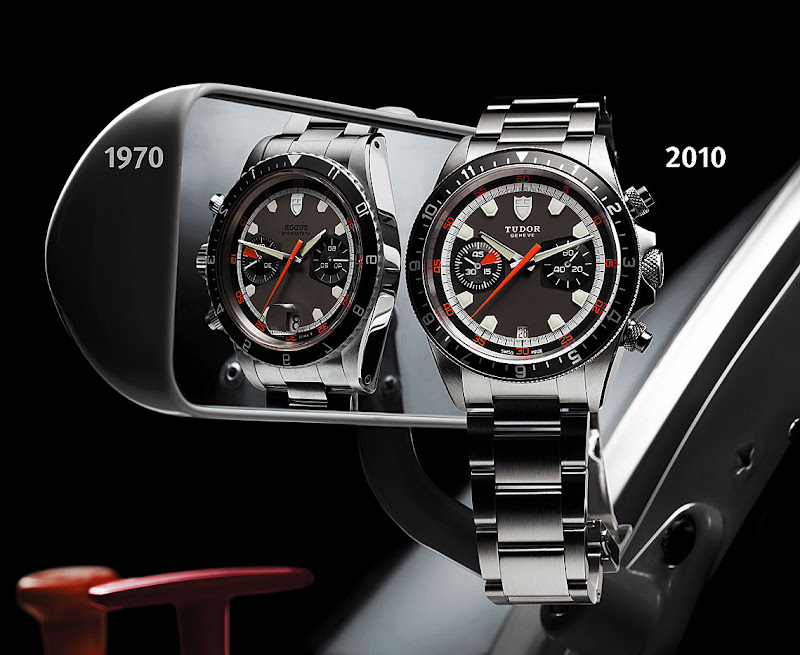 In the photo below we see the original Monte Carlo that was introduced in 1970 next to the all-new for 2010 Tudor Heritage Chronograph. 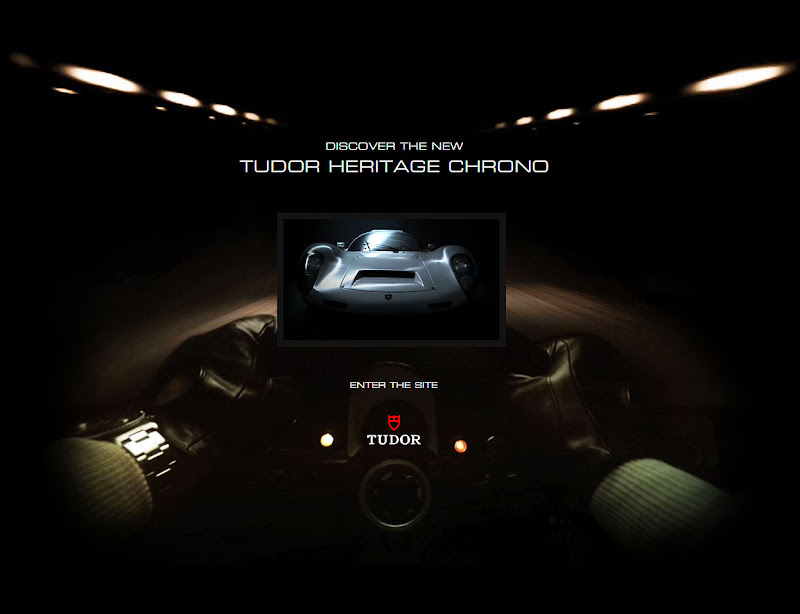 The original Tudor Chronograph was 4omm and the new version is 42mm which is the perfect size. This retro-styled Tudor is just mind-boggling cool!!!!!! I have been a voracious student of design excellence for more than a quarter century as well as a designer and I have never liked retro design for marketing sake, but I will say there are examples in the world, just like the all-new Tudor Monte Carlo, where a company goes back to the future to design great products. Often times this process works best when a company has long ago discontinued a product and they are forced to start from scratch as was the case with this new Tudor. Another example of a discontinued product that was brought back to life and is much, much better is the all new Chevy Camaro (pictured below) which is based on the 1969 Camaro. 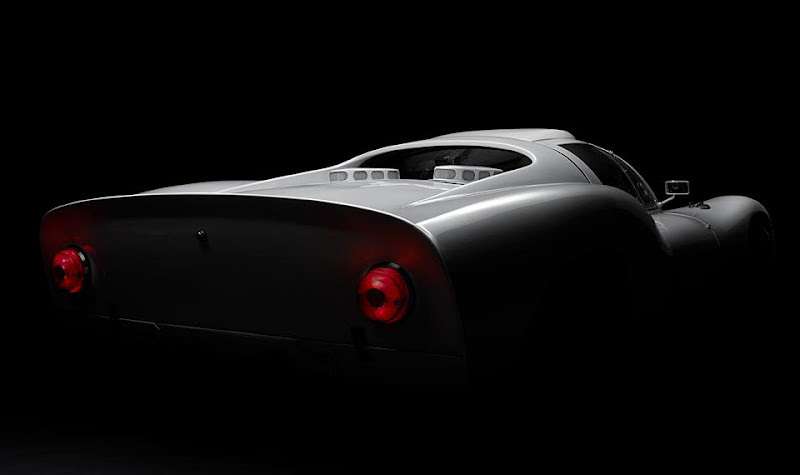 Of course, the idea with meaningful retro design is not to copy something that came before, but to go back to where the product design was discontinued or took a turn for the worse, and pickup where the design left off and take it in a better and more meaningful direction–while incorporating all the best new design, technology and manufacturing techniques. In many ways this design process could be referred to as reclamation. Reclamation being a re-caliming of a strong value proposition from the past that was lost or abandoned. Often time in design, as in life, you can only appreciate something after you have lost it. 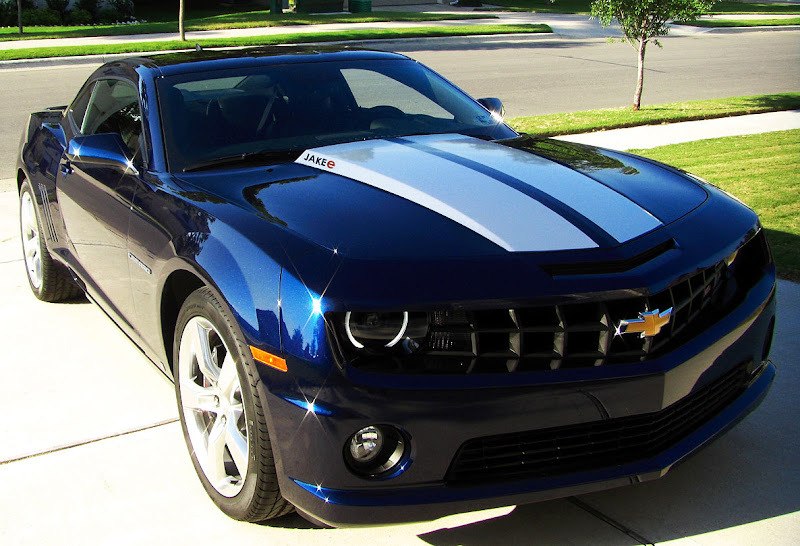 The all-new 2010 Chevy Camaro (pictured above & below) is not only an amazing retro-inspired design, but it is also an amazing car. It handles like a dream and the V8 SS model does 0-60mph in an amazing 4.5 seconds!!! It is also extremely comfortable and well made. 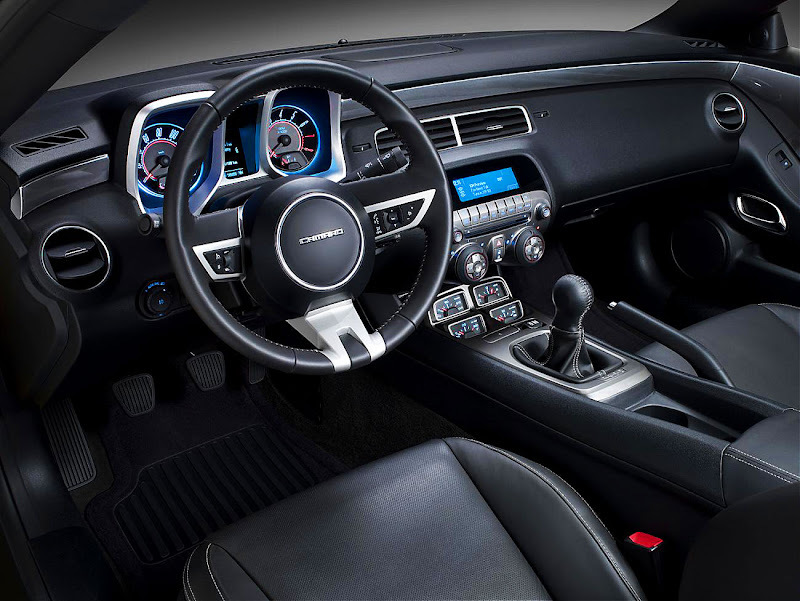 The cockpit of the Camaro literally feels like the cockpit of some kind of retro UFO or something. It is so simple, yet it has many modern amenities like an iPod controller and bluetooth. 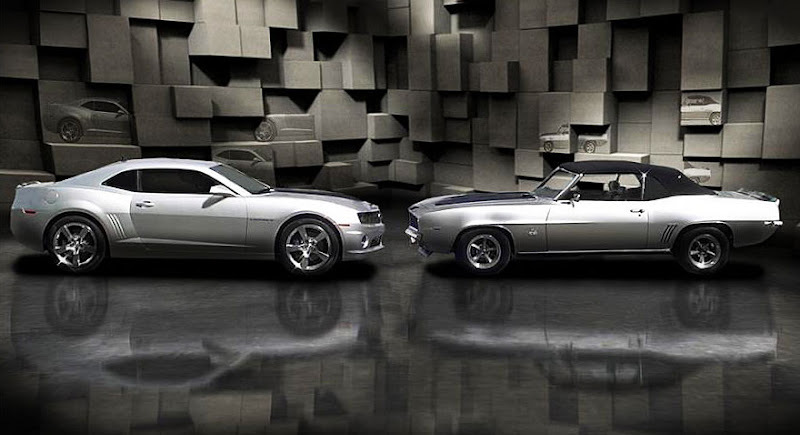 In the photo above we see the all-new 2010 Camaro SS facing its great grandfather which is a 1969 SS Convertible Camaro–Super cool!!! 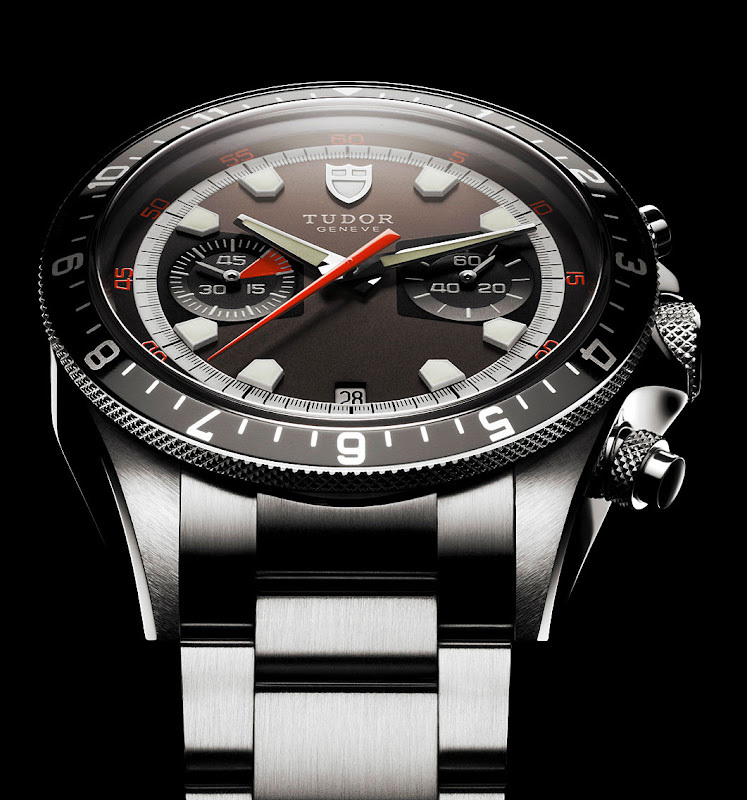 As I mentioned, the all-new Tudor Monte Carlo is just stunning and I am certain there will be long waiting lists for it. 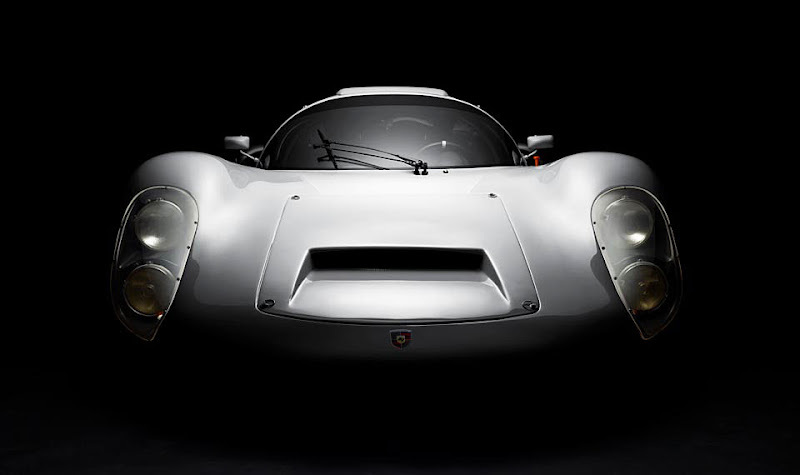 In many ways, it may become the new Daytona in terms of the whole waiting list thing. I really like the detail we see in the photo above where the have the highly-grippable knurled matching edging on the bezel and on the winding crown and push-button locks. The retro orange chrono hand is incredible also. 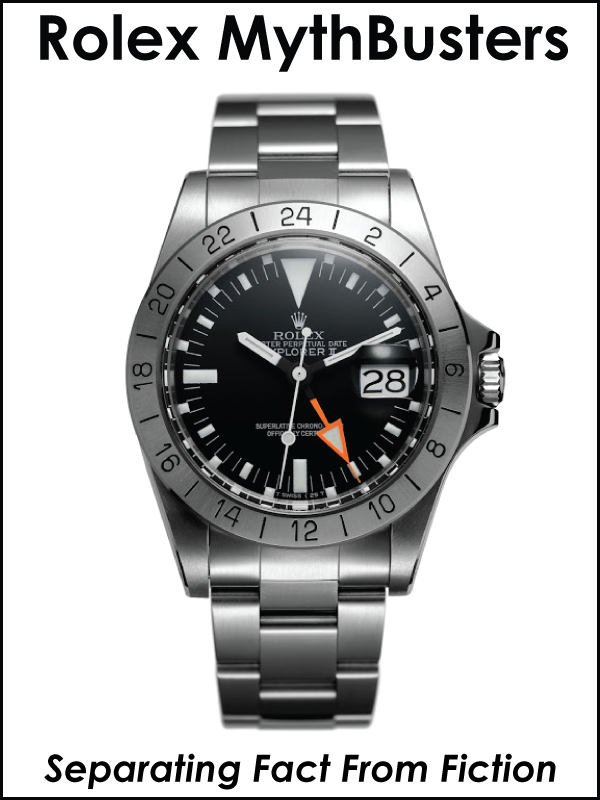 We also see that the all-new Tudor comes with an optional matching nylon slip-through strap. 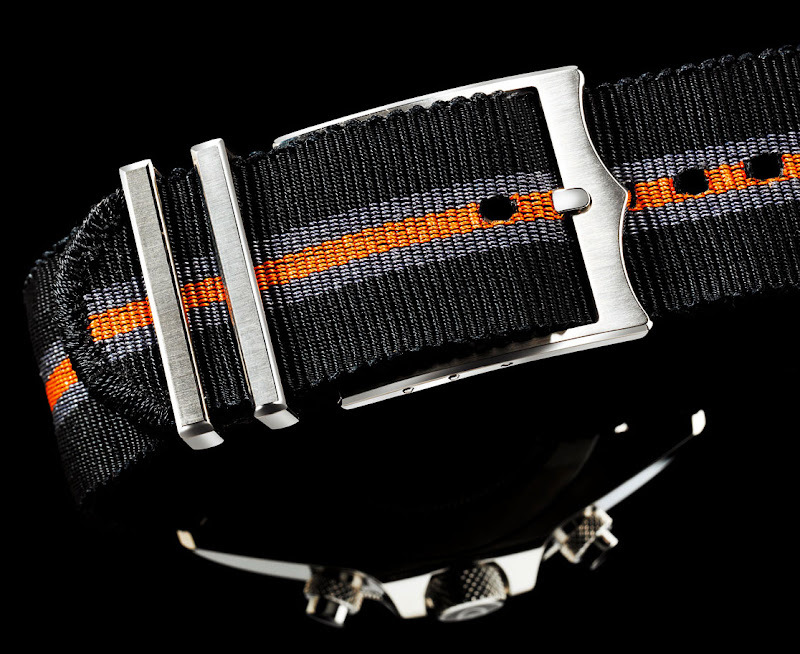 Once again, this is really unusual because Rolex has typically shunned or looked down on people wearing their Rolex on nylon straps, which I think is a great idea. I believe the take-away point is that there are many people who want to easily and quickly change the look of their watch and the truth is that any watch that costs more than $30 makes a fashion statement. Rolex watches are great since they are very, very well made, but let's face reality for a moment and recognize that the majority of people who wear Rolex do so because they simply like the design of the watch and are inspired by the way it looks. 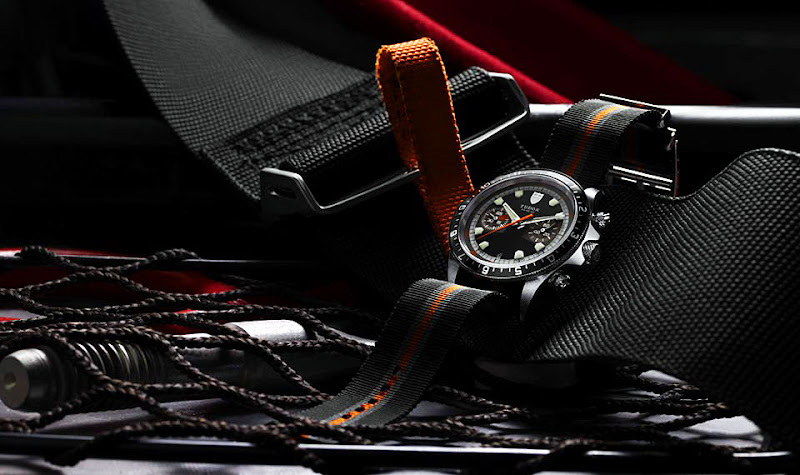 Tudor really went OT (over-the-top ;-) with the design of the all-new slip through strap. I have a background in textile design and I have been fooling around with coming out with my own JAKEe brand of slip-through straps and I have to admit, that whoever designed this slip-through put some serious thought into it. 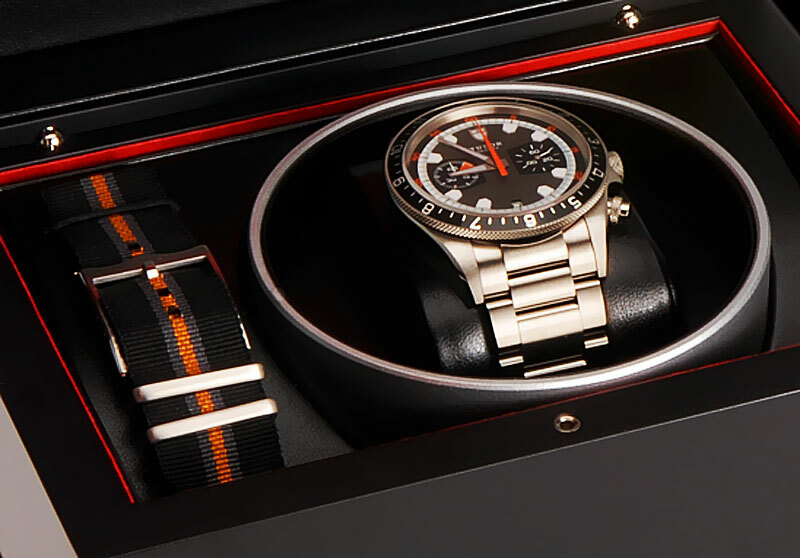 In the next photo we see the presentation box that comes with a Tudor Oyster Bracelet and a matching Tudor slip-throug nylon strap with racing stripes that match the watch. All, very, very impressive!!!! Below is an amazing video for the all new Tudor Monte Carlo which features John Fogerty from Creedence Clearwater Revival singing their amazing cover version of I Heard It Through The Grapevine. I mention it is amazing to see Rolex and Tudor apparently changing course after the Heiniger era and returning back to their magnificent historical legacy!!! I hope this is a sign of things to come!!!! Turn the volume way up!!!!! 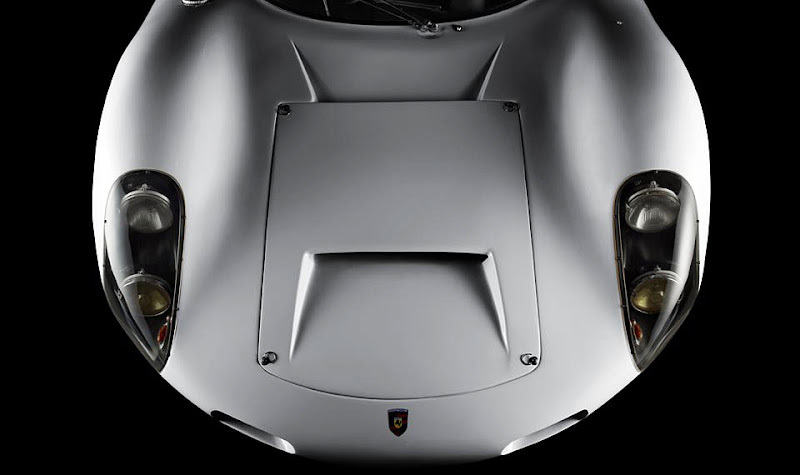 If you watch the above Tudor Heritage Chrono video, the obvious question is, what is that super-cool car that looks like a Porsche and a first generation Dino Ferrari combined? 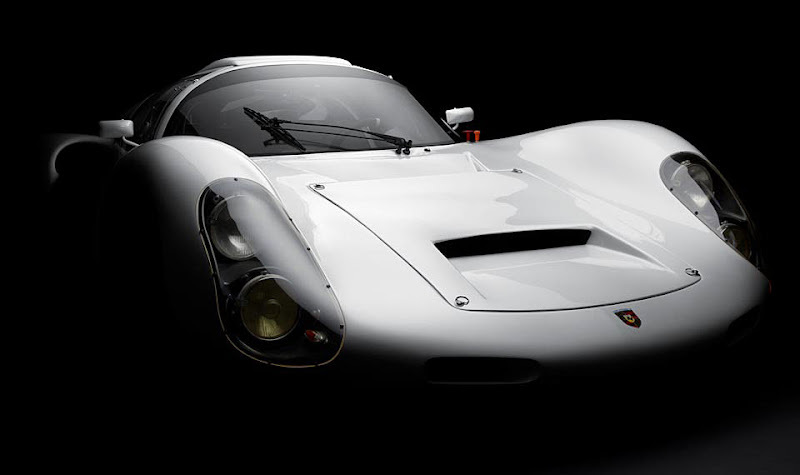 It is an ultra-rare Porsche 910 also named the Carrera 10 and only 15 of them were made between 1966 and 1967. Tudor has been collaborating with Porsche Motorsport as its timing partner so it makes sense they used this car in the commercial. 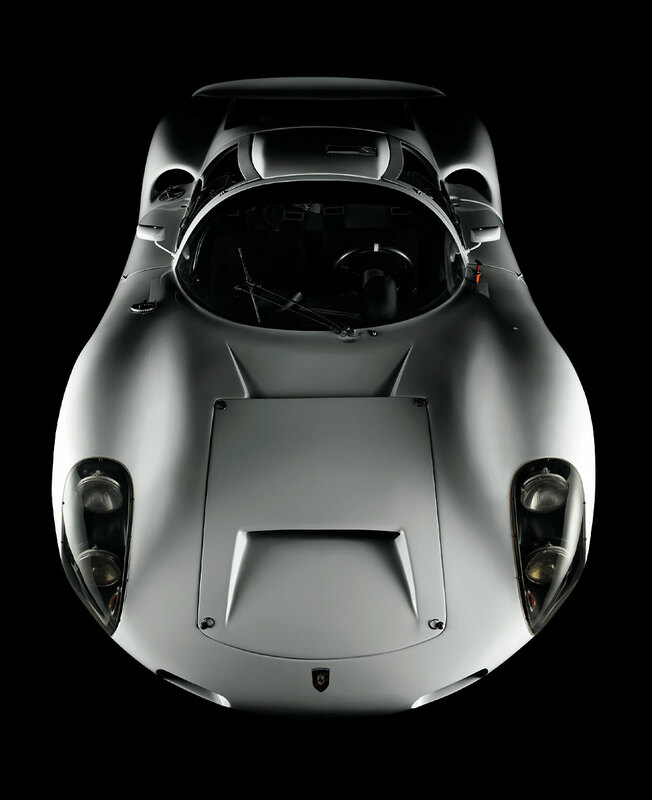 The Porsche 910 is really a work of art and the one in the video has got to be worth close to $1Million.